From 9 to 25 February 2018, all eyes are on the South Korean city of PyeongChang. 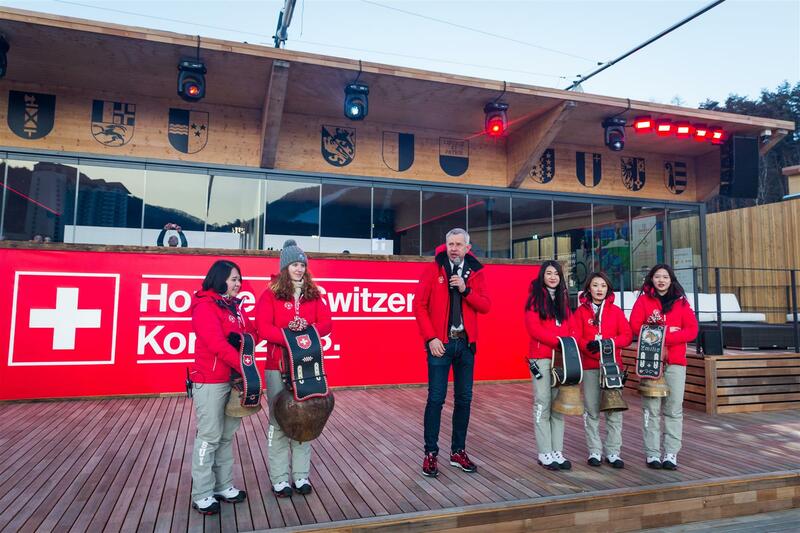 Switzerland is there to celebrate sport with a new House of Switzerland. 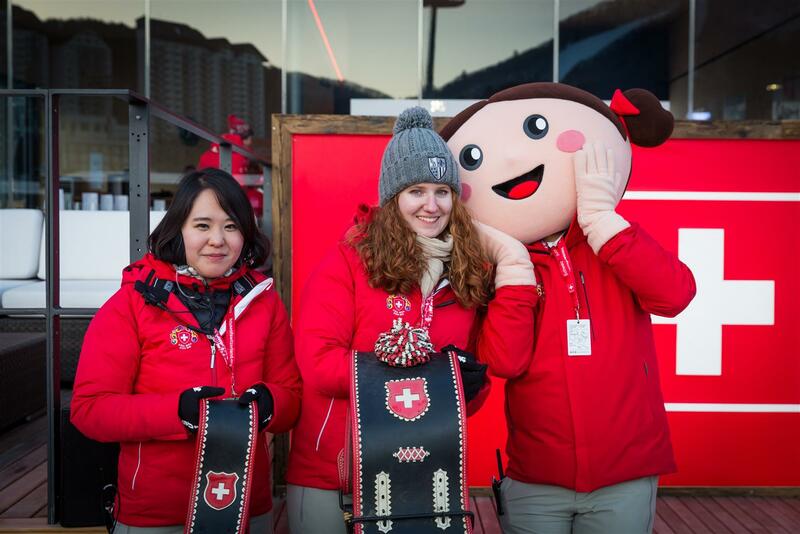 As one of the few national houses open to all members of the public, the House of Switzerland celebrates Swiss openness, hospitality and enthusiasm for sport. 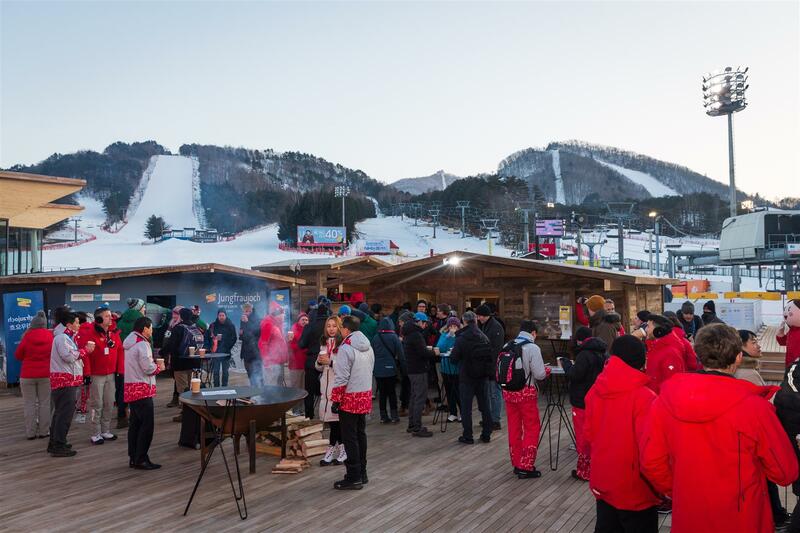 The House of Switzerland is a vibrant meeting place in the heart of PyeongChang, just at the foot of the Olympic pistes and in close proximity to the alpine winter sports venues. The Swiss Olympic team and their fans gather here with media professionals and sports fans from near and far to watch the competitions on a big screen, share in the excitement and celebrate the medals won by Swiss athletes. The House of Switzerland, measuring 1,400 square metres, also features a restaurant serving typical Swiss specialities (booking: reservations@livinghospitality.co.uk), two shops and a cosy Swiss outdoor market. 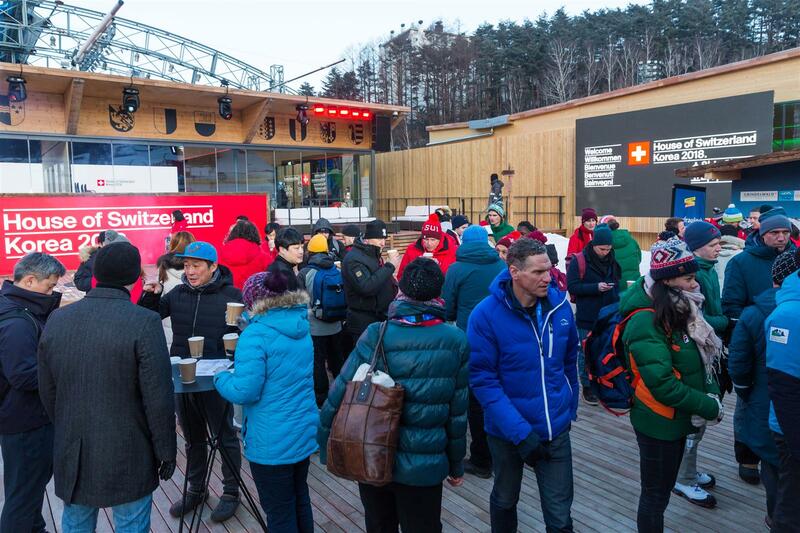 Visitors can discover Switzerland's tourist and culinary attractions in chalets run by partners of the House of Switzerland, take souvenir snapshots at one of the photo points and warm up with mulled wine in the Après Ski bar. Visitors are even able to try their hand at shooting pucks into hockey nets on a synthetic ice rink. Partners, sponsors and VIPs from the worlds of sport, business, politics and culture use the House of Switzerland as a platform to network, promote business, hold receptions and press conferences. Additionally, the House of Switzerland hosts Swiss television and radio studios. During the Paralympic Winter Games from 9 to 18 March, Switzerland co-hosts an 'Alpine House' together with Germany and Austria. Sunday, 11 February 2018 → 11 a.m.– 8 p.m. Experience a hands-on demonstration of the technology and competition. Tuesday, 13 February 2018 → 2 p.m. – 2:30 p.m.
Tuesday, 13 February 2018 → 4:30 p.m. – 5 p.m.
Thursday, 15 February2018 → 3:30p.m. – 4:30 p.m.
Friday, 16 February 2018 → 4:30 p.m. – 5:30 p.m.
Saturday, 17 February2018 → 4 p.m. – 5 p.m.
Saturday, 24 February 2018 → 4 p.m. – 5 p.m.
Sunday, 25 February 2018 → 3 p.m. – 4 p.m.